Sand Filters have always been the pond industries standard when it comes to reliable “get the job done” filtration. 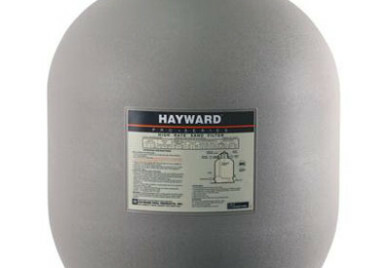 The Hayward pro series just does it a little bit better than most. It can easily be modified for any bio media application. It is a simple straight forward filter that will not disappoint the pickiest of Koi pond owners. 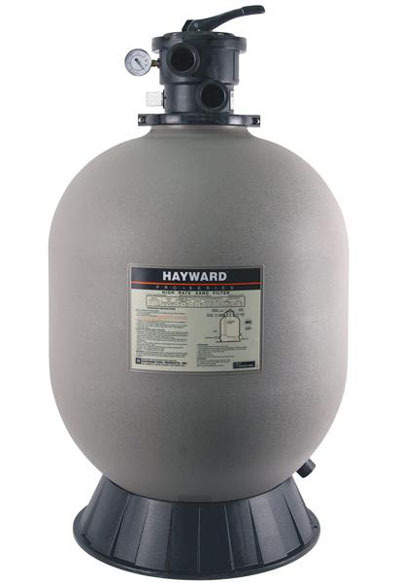 Pro Series sand filters are high performance, totally corrosion-proof filters that blend superior flow characteristics and features with ease of operation. For multiple applications, the Pro Series represents the very latest in sand filter technology and will provide clear, sparkling water for years to come. Pro Series sets a new standard for performance, value and dependability. The versatile 7-position Hayward Vari-Flo control valve, with the easy-to-use lever-action handle, you can dial any of the 7-valve/filter functions for easy operation with full size internal piping for a free-flowing performance. The integral top diffuser, self-cleaning under drain and 360-degree slotted laterals ensure even water distribution over every square inch of sand with thorough backwashing and a totally balanced flow. Providing you with quality you can trust, the Pro-Series high-rate sand filters incorporate the latest pool filter technology to ensure your pond or water garden is operating at its very best. They feature attractive, unitized tank construction for years of trouble-free operation with only minimal care. We can highly recommend this filter for anyone who wants a happy health and clean Koi or garden pond. They are extremely effective in ponds from 500-20,000. gallons. A leader in Pond Supplies – A Leading Supplier of Pond Filters!